The Cooking Class NEW Schedule is ARE HERE! 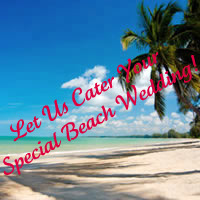 offers unique catering services for any special events you may be planning. Whether your occasion is a corporate picnic, family reunion, wedding, birthday, or any other celebration or gathering, we are here to fulfill your catering needs. If you are having 10 or a 1000 guests, Riverside Catering in New Smyrna Beach will present a private or company gathering with superb food and service. Our Holiday and Wedding Catering Services are Spectacular! Riverside Catering the right catering service for you! Join Riverside Catering and local chefs for a unique hands on cooking experience! Take home lots of great food and recipes too! You may bring your own wine, if desired, and all other beverages will be provided. Check our class schedule. See you there! We will be providing you with a service catered to your unique needs, exquisite food, delicious and varied taste, and customized menus. From traditional favorites to inspired new creations, innovative menu planning, and the highest standards in service, we pride ourselves on making every wedding, celebration and gathering a complete success. We do banquets large and small! Your catering services, event planning and cooking classes for Volusia and Brevard counties!